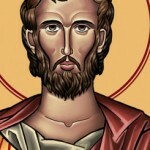 I am Judas and today we will talk a bit about the “True Self” – that which is behind all of your thoughts and feelings. Have you at some point when you meditate felt a wonderful stillness? It is a stillness that floats out in your bodies and erases all your limits. This is your True Self – you soul who is in touch with the higher impulses beyond your being. It is being that you now strive to find again. It is the harmony, the love and the light that you which to return to. It was this way that Jesus tried to demonstrate when he walked here on Earth about 2000 years ago – The path to your true self, the path that would show the truth about yourselves and the eternal life in light love. This was what he meant when he said “he is the path, truth and life”. You now walk your own paths in order to find your truths and the big truth in your lives. Everything ends up in loving deeds towards yourself and your fellow humans. It is by choosing the good that you become good. You always have different choices to choose from and it by your choices that one will see which path you walk and how close you are to the goal of your heart. It is in your connection with Source or the voice of the Holy Spirit that you can make the right choices. It is when you understand that this light and loving being already exists within you that the correct steps can be taken. It is then that you understand that you all are one and that you see yourself in the eyes of your brother or sister. You are all teachers and students to each other. You do not need to like all that you in your fellow humans – you just need to scrutinize your own inside and see what it is that you can change or forgive there…. Through forgiveness blockages are dissolved and your understanding and compassion grows.. This in turn wakes up completely different reactions among the people you meet and your life is improved in many ways. Your problems are no longer piled up in a heap, but are resolved and disappear after they appear. Life can now appear much more exciting and fun than what you have experienced up till now. With your True Self (your soul) in the driver’s seat you change your life at a deeper level and you prepare for new experiences that strengthen you newly found self until you one day stand in the light and it shines a bit extra around you where you walk on Earth. Of course it might require some training to be able to listen to one’s inner voice and to choose the good in all situations, but in the end it also becomes a habit. You see and understand more of how the life really should be lived and what your own goal is – the goal that you came here to achieve. You have all chosen to grow in spirit and it is this that you also do down here Earth. It might sometimes seem like a tough school that you are attending. However, it polishes you in an unavoidable fashion since everything you do, think or say is returned to you in one way or another in this life or next. You have all have had enough lessons now, dear children on Earth, so seek your soul and choose the light path with good deeds for yourselves and those that you meet along the way. You are receiving good help now from spiritual guides, power animals and beings who where attentive to your inside. Be observers of your battles rather than participants. It can change your perspective a bit and give you some aha-experiences. It is these aha-experiences that take you forward to a larger and deeper understanding of your selves and life. The truth can not be revealed to you and you are embraced by light and love. Your journey has now finally reached its completion. I walk with you and you walk with me.